The inspiration for Bill Murray Jesus came from XM Siruis Radio. I was listening to a comedy channel and a comedian made some kind of weird vocalization that visually popped into my head as 70’s Bill trying to sing… as Jesus. It seemed a funny idea to have him portray the Messiah in a 70’s SNL skit. I even figured he must have done it. It was just too perfect an idea. I Googled it and didn’t find anything. 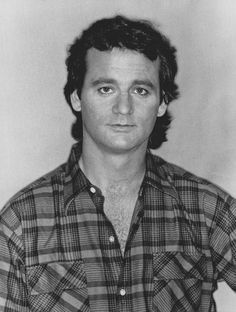 JACK: "Last night I dreamt that Bill Murray was Jesus..."
BILL MURRAY: "That's a fact, Jack!" CHIP: "If you've had a dose of the holy ghost... who you gonna pray to?"